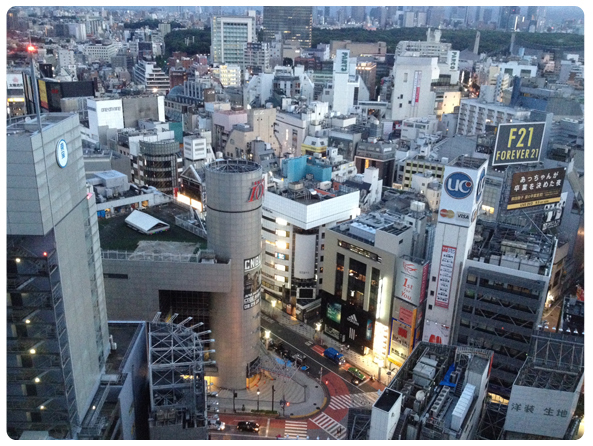 Last week Christina went to Japan, where she worked very, very hard on one or two projects, some gigantic, some small, all interesting. 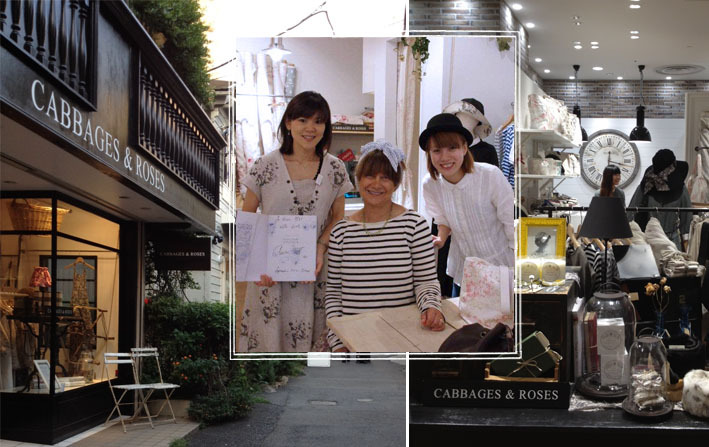 One of her tasks was to visit our growing empire in Tokyo where we have not just one but three Cabbages & Roses outlets. 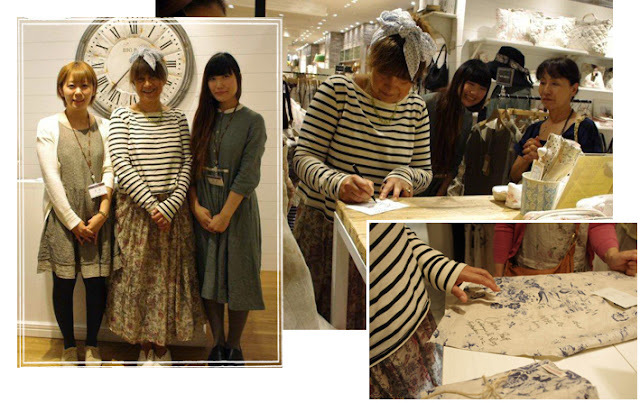 Here she is with the lovely Tokyo Roses in our shop in Daikanyama. 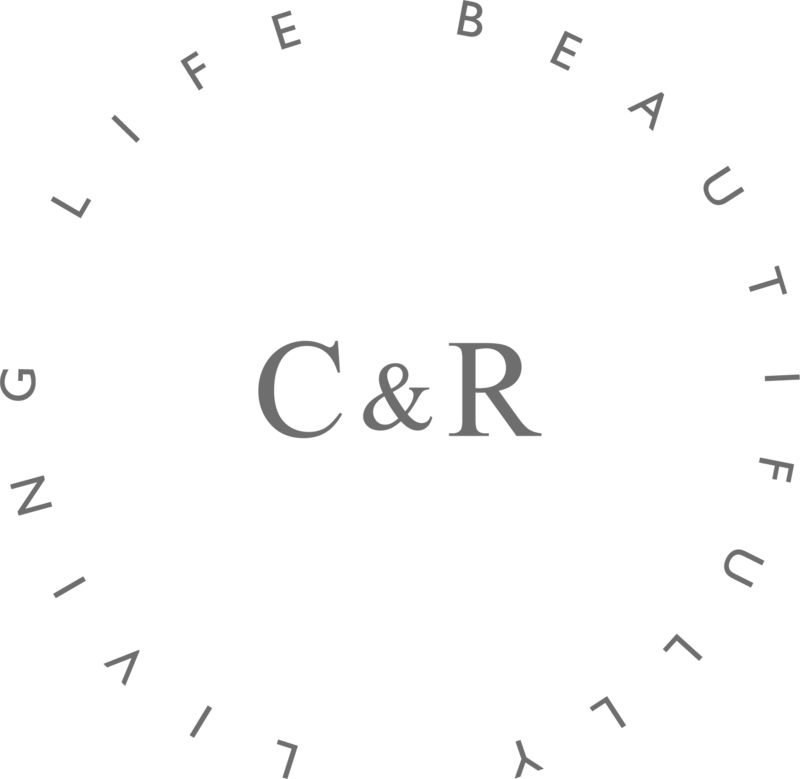 Christina also went to visit the newest Cabbages & Roses department in Shibuya. During her visit she signed pieces of Cabbages & Roses fabric, napkins, cards and books, she even signed a lady’s dress (she was asked to, it was not an accident!). Christina was well looked after by her hosts The Innocents, feasting on exotic delicacies. She styled three Japanese dwellings for a marvellous magazine, you will have to wait to see - until November! Little corners of Japan were transformed into Cabbages & Roses oases and when work was finished every night, this is what she saw from her bedroom window. 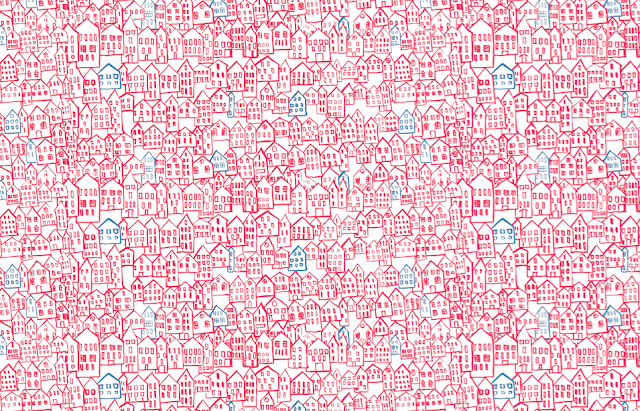 Looking forward to seeing the dwellings she designed ! How lucky are the Japanese !! !